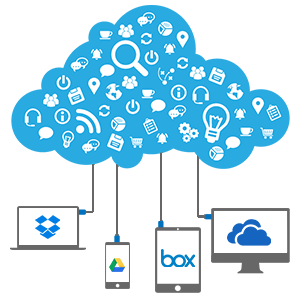 With CloudFuze by your side, you never, ever need to download GBs of cloud data to a physical drive and then upload it all to a new cloud. CloudFuze transfers all or selected cloud data of yours to a new cloud while you sit back and relax! One of the major reasons that discourage people from migrating from one cloud to another is data transfer. It’s easy and straightforward for people who have fewer files to move. They would quickly download the data to a physical storage drive and then re-upload it to their new cloud. The approach doesn’t work every time, especially when the size of the data to be transferred is large. CloudFuze comes in handy in this scenario and lets users move their data between clouds without worrying about bandwidth limitations or data outages. Create an account, choose a plan, configure your cloud accounts, and begin data migration in just a few minutes! Our high-speed servers transfer your data quickly and safely. Using CloudFuze is easy as sending an email. One doesn’t need to possess complex technical knowledge to understand and use our platform. CloudFuze’s intuitive user interface lets you transfer all your files or a few of them, just as you need. 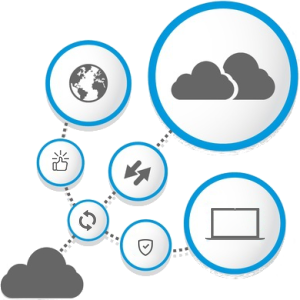 Transfer your files from one consumer cloud to another or sync two cloud accounts. Create an account, pick a plan that suits your needs, and begin moving your cloud files right away! CloudFuze doesn’t store your data. We don’t have a direct access to your cloud data or passwords. 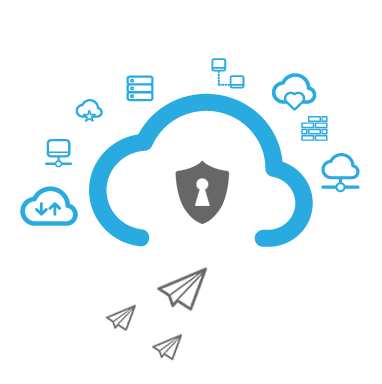 CloudFuze uses cloud storage companies’ OAuth protocol to unify your files located in multiple clouds. The protocol grants CloudFuze a limited access to your data. We don’t gain ownership of your content. In fact, we can’t access or view your personal files like a human user. Your data is completely safe with us. Transfer your files from one cloud to another effortlessly.